Consumer credit increased at a seasonally adjusted annual rate of 7.9% in November, up from a 5.2% rate in October. 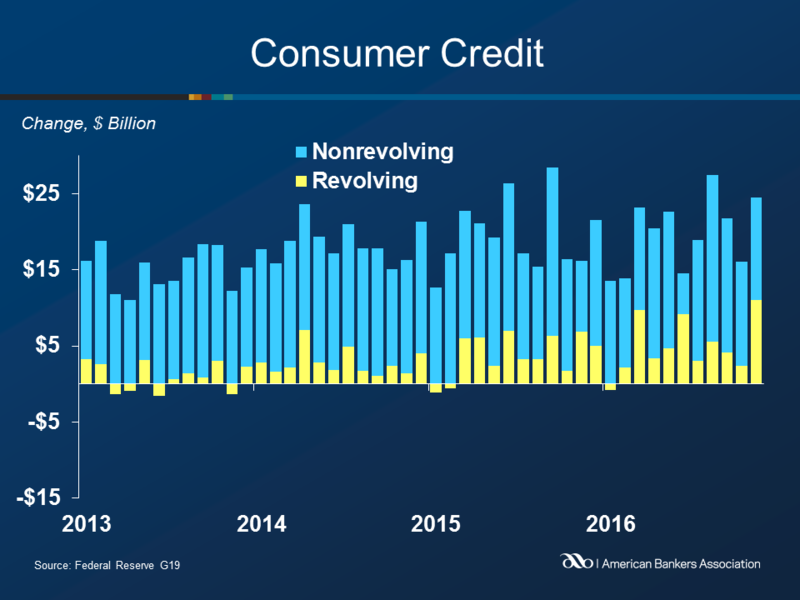 Total outstanding credit increased $24.6 billion during the month (compared with $14.1 billion in October) to $3.75 trillion. Revolving credit rose at an annual rate of 13.5% to $992.4 billion, compared to a 2.4% increase in October. Non-revolving credit rose at a 5.9% annual rate, or $13.5 billion, compared to October’s rate of $11.8 billion. Total non-revolving credit is now $2.76 trillion. The large increase in revolving consumer credit can partly be attributed to the holiday season, with spending fueled by credit cards. Also, more consumers are gaining access to credit as the economy continues to brighten.